Wish you and family sukh shata on the auspicious occasion of Mahavir Janma Kalyanak! 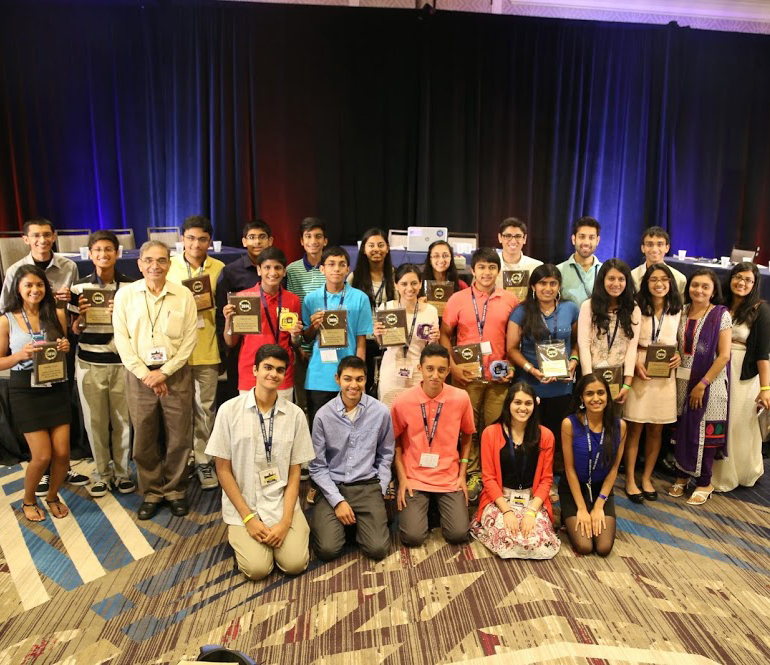 JAINA, with JITO, is proud to present the second phase of the Jain Youth Exchange Program. Details are given below. JAINA Yatra committee brings you wonderful opportunity to perform 99 Yatra at Shree Shatrunjay Mahatirth in India from November 14, 2016 through January 13, 2017. Details are given below. 13) a heap of jewels, 14) smokeless fire. 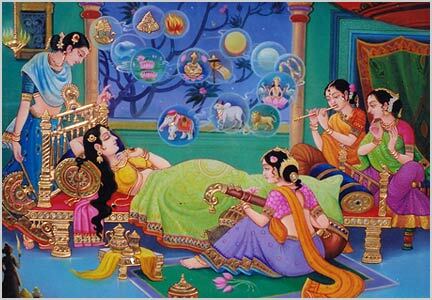 The dream interpreters proclaimed that the dreams augured the birth of a Great One, a Tirthankar. Mahavir Janam Kalyanak occurs on the 13th day of the rising moon of Chaitra and is celebrated as the birthday of Lord Mahavira, the twenty fourth Tirthankara according to Jain mythology. JAINA, with JITO, is proud to present the second phase of the Jain Youth Exchange Program [JYEP]. 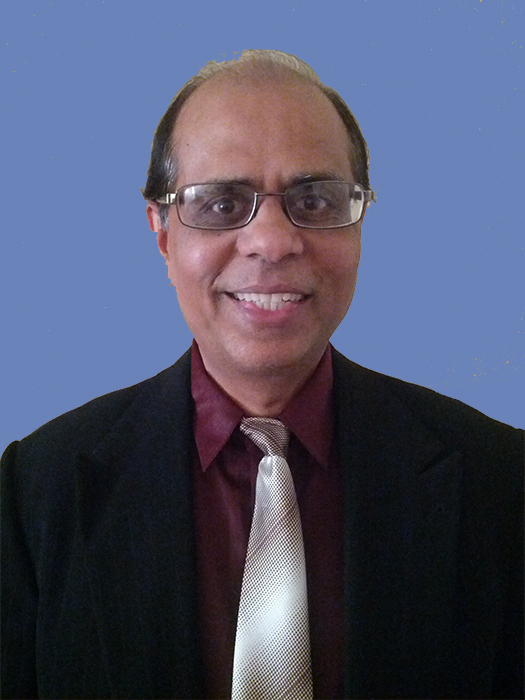 JYEP offers exposure to different cultures and ranks as one of the most powerful ways to promote both the Indian culture and Jain way of life. JYEP intends to provide hundreds of young adult college students with the opportunity to meet people from other countries and to experience new cultures, planting the seeds for a lifetime of international understanding. 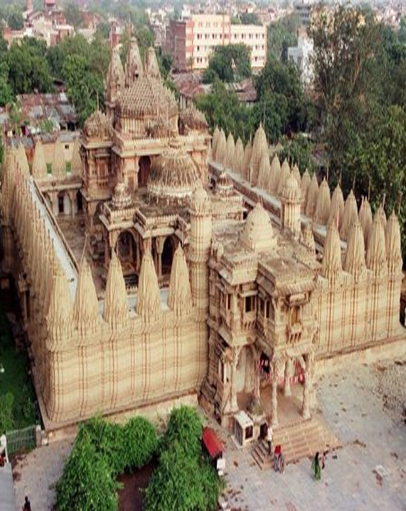 Federation of Jain Associations in North America (JAINA) has finalized a religious pilgrimage to one of the holiest and historical places in Jain religion. We have organized a 99 Yatra event to the Shatrunjay Mahatirth in Palitana in 2016. The yatra will commence in India from November 14, 2016 through January 13, 2017. The ninety-nine Yatra will be performed under the guidance of Acharya Bhagwants. Pujya Pravachan Prabhavak Acharya Shree Vijay Mahapadam Suriswarji Maharaj Saheb and Shri Punch Parmeshati Ratna Narendrabhai Nandu and his team will conduct all the activities during these two months. This is a unique opportunity to participate in this historic, once in a lifetime event for members of Jain Society’s all across North America. Our 2011 99-yatra in Palitana proved remarkably successful and we hope to make this upcoming one also one of the most memorable historic pilgrimage event. JAINA Women’s Committee had recently celebrated “International Women’s Day” at different Jain centers. 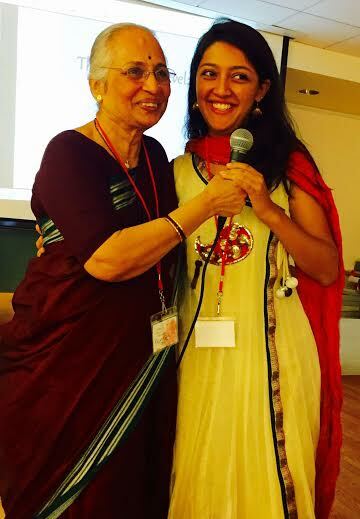 JCA NY women’s group had an inspiring speech given by a young Jain woman - Shelley Jain on “Self-Esteem”. They also heard Mandaben on how she found her self-esteem and help from her own family by standing up for herself. 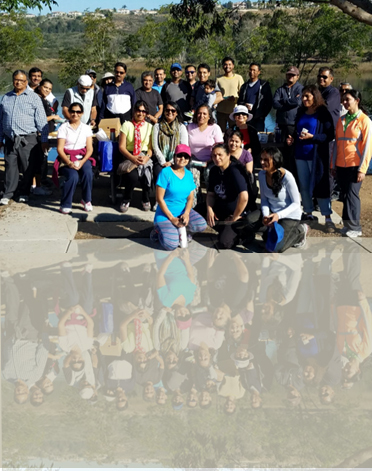 Jain Society of San Diego (JSSD) is a small but active Sangh, of approximately 100 families, which remains abuzz with events and activities throughout the year. Center has many activities such as Pathshala, Swadhyay, weekly Pujas, and Musical/ Cultural Events. JSSD has recently changed their landscape to plant drought-resistant plants across their facility, which has reduced center’s water consumption significantly. Also, addition of 16 Solar Panels has now balanced out center’s entire electricity consumption. They are continuing on this journey to beautify San Diego Jain Center and enhance its religions and spiritual vibrations. #1:YJP Northeast Rock Climbing Meetup: YJP Northeast had their first ever indoor Rock Climbing Meetup at BKB in Queens Bridge on March 26th. 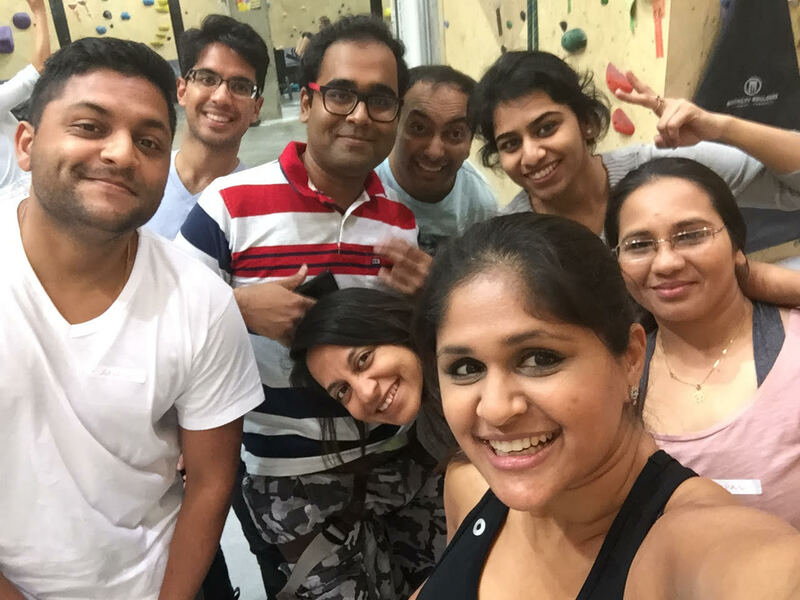 Event had 9 attendees for this fun filled evening. With laughter, enthusiasm, and team spirit, all left as friends, exchanged professional contact information and were already suggesting adventures for the next YJP Northeast Meetup! For future Northeast Events and Meetups join YJP Facebook Page or text your Northeast Coordinator: Avani Shah at 845-518-0620.